in the heart of the city’s Monteverde quarter. – A place to work, rest and network. Or would you like to spend the night? equipped with all the necessary comforts. 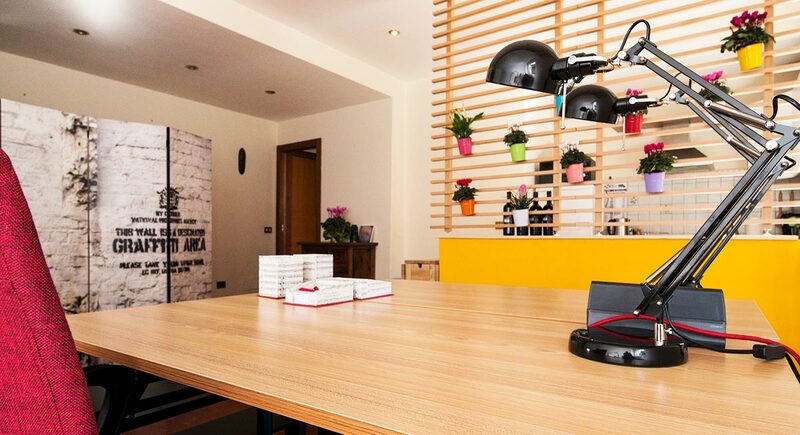 You can use Contatto as your working headquarters for a few hours, for a day, for a week, for a month or even more. You can keep the same desk for as long as you stay, giving you the chance to store your working materials and computer, or you can change workstations at will. Desks sized 120 cm or 100 cm, each equipped with a multi-socket power strip providing three standard sockets and two USB outlets, a pen holder, lamp and cabinet with shelves. The internet connection is fibre-optic wi-fi. Two balconies for taking a break or chatting in private. Use of the kitchen to make coffee, heat up lunch or season a salad. An ideal place for working, exchanging thoughts and ideas, getting to know others. The historic Villa Pamphili, a massive public park, is only three minutes away by foot, perfect for taking a break from work, seeing that a day of nothing but toil is no guarantee of productivity. And who’s to say that good ideas necessarily come when you’re sitting still. Thought up by a digital nomad, it will change your way of travelling. 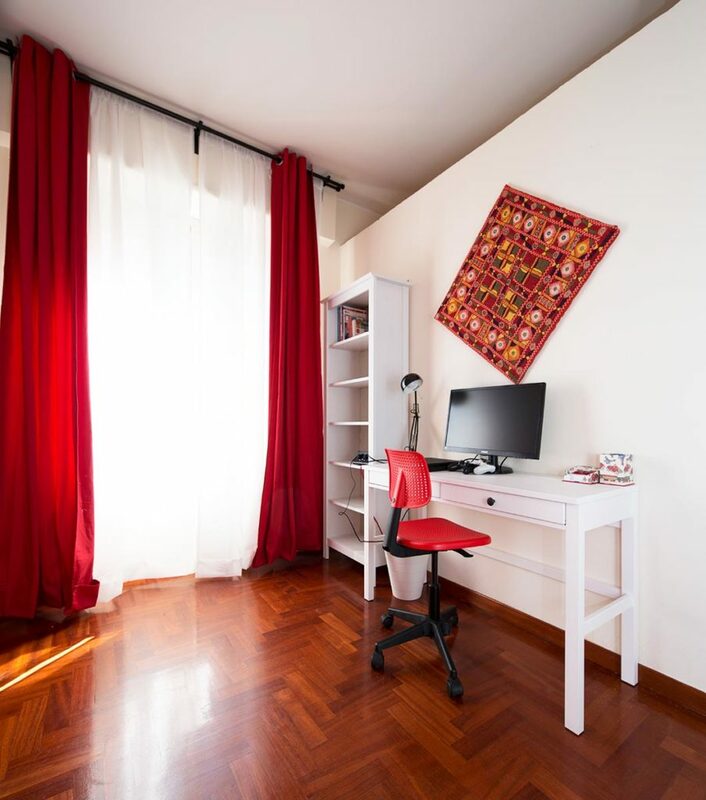 Conceived of by a digital nomad who works with a network of associations of European freelancers, Contatto serves as an ideal headquarters for those travelling periodically to Rome. Well connected to public transportation, not far from the famed Trastevere neighbourhood and just a short walk from one of Rome’s largest parks, the Villa Pamphili, Contatto is in a portion of the city still untouched by gentrification – not a tourist zone overrun with bed & breakfasts and fancy places to eat and drink. The area is a normal, functioning part of the city, with an open-air market, family-owned shops and long-time residents who recognise each other when they meet. The workation room complete with an extremely comfortable sofa bed, a workstation all its own, a cabinet and shelves. But guests can also choose to work at any of the other coworking stations. Contatto provides every comfort, up to and including a washing machine, an iron, a microwave oven and a juicer, all of them available for use by its guests. The coworking space is open from 9 am to 8 pm, Monday through Friday. Members of Acta, the freelancers association and of EFIP, the European Forum of Independent Professionals, are given a 10% discount. In the heart of Rome’s Monteverde neighbourhood, at no. 25/i Via Francesco Catel. 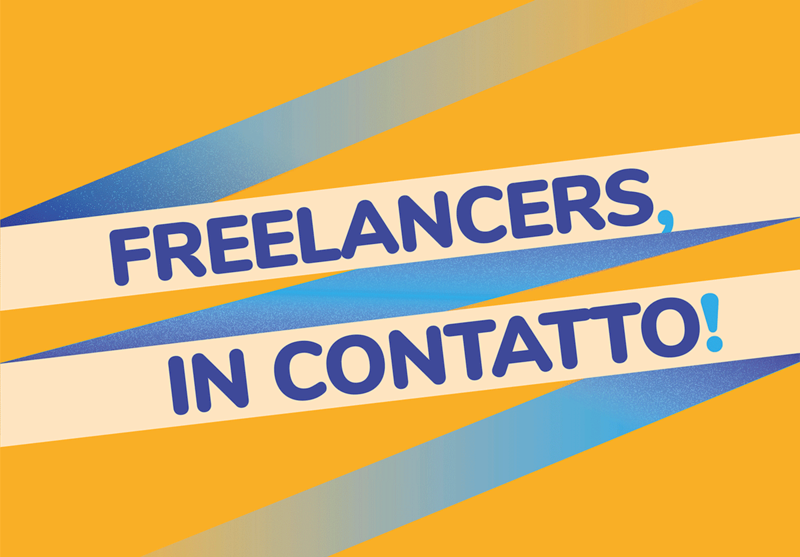 Once a month, Contatto hosts the information exchange of Acta, the italian freelancers association, as indicated on the calendar found here. 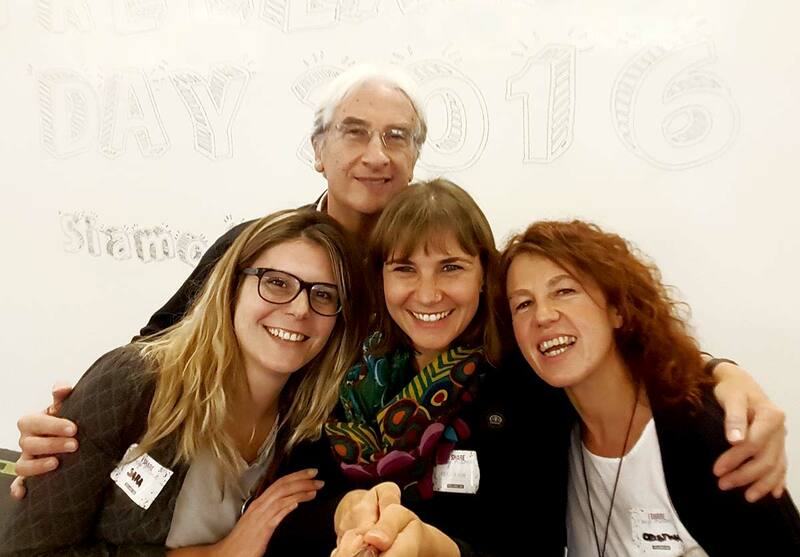 Contatto also hosts periodic meetings of the Rome chapter of Acta, meaning that you can find advice, ideas and information on networking in Italy and in the rest of Europe. We are active in the European freelancers movement and we are joining the EFW this year too, opening our doors for free for the entire EFW, from 12 to 21 October 2018. Come and celebrate the #EFWeek with us! Can’t wait to take your first workation?